Few things can be as stressful as financial problems, especially when you find yourself stuck in a revolving door of debt. Each month, you’re paying as much as you can on your bills, but you don’t have enough left over to cover your basic expenses—leading to more borrowing. People find themselves in financial trouble for a variety of reasons, many of which are not their fault in any way. Life events like the loss of a job, a sudden illness or injury, or a downturn in the economy can wreak havoc on a person’s financial stability and result in a situation where he or she is unable to keep with his or her financial obligations. If you have found yourself in a similar situation, it’s important that you consider bankruptcy as an option. There’s a common misconception that bankruptcy is something to be avoided at all costs and is an unrecoverable financial event. In reality, bankruptcy is a completely legitimate option that can provide you with a fresh financial start and improve your life immediately. Chapter 7 is the most common form of consumer bankruptcy. It is often referred to as a liquidation bankruptcy because it involves the liquidation (sale) of a person’s non-exempt assets in order to pay back creditors. 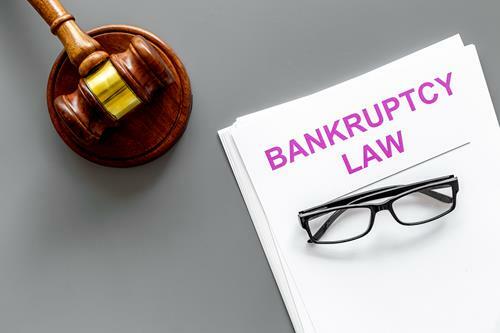 Importantly, there are many exemptions that filers can take advantage of, and it’s instructive to consider that the vast majority of Chapter 7 bankruptcy cases are zero-asset, meaning that the person filing has no assets the court will try to seize and sell. Many people emerge from bankruptcy completely debt-free, and while bankruptcy does affect your credit for seven to 10 years, the reality is that most people who can benefit from bankruptcy already have poor credit. In fact, in many cases, people who have filed for bankruptcy are able to obtain credit cards and finance large purchases within a year or two of the end of their bankruptcy. If you are having trouble paying your bills and feel like you’re drowning in debt, you should speak to a lawyer as soon as you can. A lawyer will be able to help you determine whether bankruptcy is right for you and, if you choose to proceed, make sure your case comes to the most favorable outcome possible. 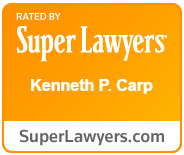 To schedule a free case evaluation with attorney Kenneth P. Carp, call our office today at (636) 947-3600 or send us an email through our online contact form.